As parents when it comes to our children we go to great lengths to ensure their well-being. Think back to their first pre-school or first babysitter and how much care went into that selection process. When it comes to your life insurance policy equally important is choosing a trustee for your minor children. In Canada, minor children cannot receive the proceeds from a death benefit from a life insurance policy. Instead, policyholders must select a trustee to manage the proceeds until the child is 18. Otherwise, the proceeds will be paid into court by the insurer and held until the child is of age. You can imagine the unintended results of your child not being granted access to those funds for maintenance or education during his early years – a thought contrary to the reason why you created your estate plan and purchased life insurance to begin. The consequences can be disastrous particularly if the proceeds are substantial. 1. Does the individual you are assigning as trustee have sufficient experience and financial acumen to handle these financial concerns and provide an adequate standard of care? The standard of care required of a non-professional trustee in administering a trust is that which a person of ordinary prudence would use in managing their own affairs. Accordingly, as long as the trustee preserves the proceeds and invests them in authorized investments with ordinary prudence, the trustee will meet this standard care. So, when you choose the person you assign as trustee you need to ask yourself if they are responsible and experienced enough to manage the capital and income portion of the death benefit you leave to your young child(ren). If that person has trouble balancing their own check book or filing taxes, maybe not the right individual. 2. Does your trustee have the necessary amount of time in their active lives needed to manage the trust? You may have selected a sophisticated enough individual to manage your child’s trust, but if they’re too busy jet setting or managing their own business they may not have the time you require to properly execute your wishes. 3. Is your trustee organized? A trustee is required to keep proper records indicating how the proceeds were handled. The beneficiary has the right to inspect the records upon request and to receive information on the state of the trust on a regular basis. 4. Do they have the desire to manage your financial affairs? If you’ve named a person as your trustee, please ensure you’ve sat down with them to go over your wishes. Advise them of your desired role for them and what they can expect. If during this process you uncover that they don’t share in your desire, perhaps this isn’t the right individual to manage your children’s trust. 5. 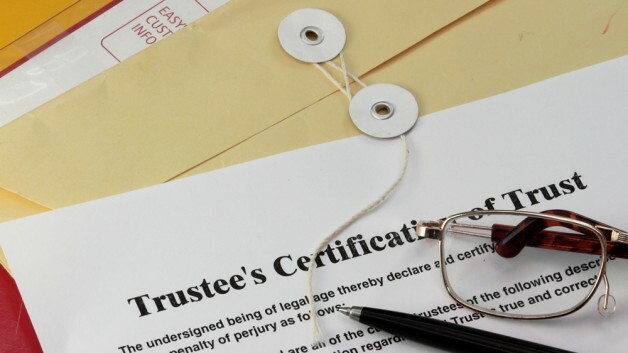 Do you have other family members who are willing to serve as trustee if your chosen trustee can not do so or pre-deceases your children before they are 18? Remember, there’s nothing stopping your trustee from bowing out if they don’t feel or want to fulfill their obligation as your trustee. Ensure you have a contingent in the event this happens to you. If your trustee is uncertain of his or her duties, obligations and authority, they should seek the counsel of a lawyer. The above information is intended to be general in nature, it will not necessarily apply in every situation.While this may be a useful primer for discussion purposes, it should not be viewed as setting out the duties and authorities of a trustee in any particular situation.